2.1 The teacher should have clear objectives when assigning homework. 2.2 Teachers are to make sure that ‘doing homework’ becomes an enjoyable experience by motivating their pupils to do it. This in turn would help pupils to look forward to produce neat, correct and well planned work. Homework should never be a form of punishment. 2.3 Homework should reinforce the work being done in class. Teachers should plan the homework they intend to give so that it would be relevant to the syllabus learning outcomes being focused on. It should never be an isolated exercise set by the teacher at the last moment. 2.4 Homework should always be clearly explained and should be part and parcel of the lesson given during the plenary. Homework should not be a slot in the timetable. Homework covering the three main subjects – Mathematics, English and Maltese should be assigned on a regular basis. 2.5 In our school special emphasis should be made on receptive literacy skills (reading). At least twice a week, pupils and parents should be made aware that homework does not consist of written work only by assigning reading tasks. In the early years it is essential that pupils are encouraged to become familiar with books by looking at pictures, trying to read and telling the class about the story they are reading. As they grow older the pupils could start reading articles and downloading information to share with others. 2.6 Once a week, the pupils should be given homework activities related to the broader curriculum, including aspects of the different subjects taught at Primary level, for example tasks complementing project work being carried out at school. 2.7 The type of homework set for the pupils should be stimulating, and varied to cover a range of tasks, including written work, research work, reading, studying, cutting and pasting of pictures, drawing and colouring,. This depends on the age and ability of the pupils, as well as the skills the pupils need to work on. For the weekend/holidays this time can be extended by half an hour to include reading in L1 and L2. 2.9 Assigning homework is the sole responsibility of the class teacher. Learning Support Assistants with special needs children and complementary teachers are not bound to assign homework, but they may do so. In this case, the class teacher should be consulted. 3.2 Feedback should focus on the learning intention of the task, for example, to use doubling and halving or to recognise numbers to 20, taking into consideration both success and improvement needs. 3.3 It is very important that constructive feedback is given to pupils. If a sum or sentence is incorrect the pupil must be helped to understand why and encouraged to try to improve performance. For example, “Try to change two words in your writing for more interesting or better words.” While marking, the teachers should keep in mind the objective of the task given to the pupils. The correction can either be whole-class correction during plenary when tackling common difficulties or on individual basis. 3.4 Remarks like, “you could have done better” make little sense to the pupils. Teacher’s marking of copybooks must not be taken from the time allocated for the lessons. 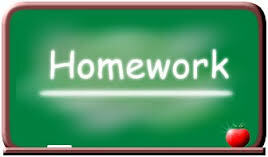 4.1 Homework is a good indication of what is being taught at school for those parents who help their children at home, since the homework complements class work. 4.2 Pupils should be assigned work according to their different abilities even within the same class. A particular task is not necessarily appropriate for the whole class; hence the teachers should set graded tasks and assign different homework to different groups or individuals within their class. Teachers are to inform the parents about the benefits of this practice – where pupils can work at their own pace in achieving learning targets linked to the same syllabus topic – during the first Parents’ Meeting in October. 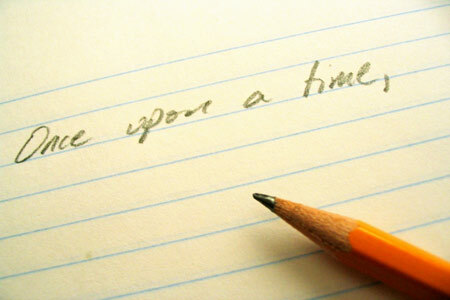 5.1 When a pupil fails to produce his/her homework, he/she is asked to produce it the next day. If the homework is not produced the following day parents are to be informed by a written note, which they are kindly asked to sign. The teacher should keep a record and make sure that the note is returned to school. If the pupil fails to submit the homework for the third time the teacher should inform the senior management team who in turn would send for the parents. The teacher would then keep a record of this meeting. For no reason should the pupils be punished by not being allowed to play during the break when they do not produce their homework. the teacher revises work related to learning outcomes covered during the pupil’s absence on his/her return. the teacher will explain and assign any homework that the pupil has missed on his/her return (this is done over a period of time depending on the duration of the child’s absence).